Shrewsbury School is a co-educational independent school for pupils aged 13 to 18 in Shrewsbury, Shropshire, founded by Royal Charter in 1552. The present campus, to which the school moved in 1882, is on the banks of the River Severn. Shrewsbury school is one of the original seven public schools as defined by the Public Schools Act 1868. It was originally a boarding school for boys; girls have been admitted into the Sixth Form since 2008 and there are approximately 130 day pupils. Since 2014 Shrewsbury School has been fully co-educational. The School currently has 795 pupils, the largest roll to date, spread across five year groups in a ratio of 65:35 boys to girls. Why should I send my child to Shrewsbury School? We are passionate about boarding not just being for convenience, but in providing the best opportunity for young men and women to develop real confidence and belief in themselves. We are fortunate to have one of the best locations of any school in the country, a most beautiful campus-style site on the edge of one of the most historic county towns in England. Life at Shrewsbury is founded on a close partnership between staff, parents and pupils to promote the strength of family life, foster responsibility, and balance the claims of developing individuality with the needs of a vibrant community. We believe our traditional values and time-honoured reputation is enhanced by a dynamic development plan designed to fully embrace the advantages of co-education. We are committed to providing an environment where young men and women can learn together on foundations of trust and mutual respect. We are confident that the future will be a more equal one and we support that historical evolution. What happens when parents visit the School? Prospective Third Form (Year 9) or Fourth Form (Year 10) families are asked to arrive at the Admissions Office and are welcomed by either the Director of Admissions, Martin Cropper or the Admissions Tutor, Giles Bell. Families of prospective Sixth Form (Year 12) pupils are met by Sixth Form Admissions Tutor, Matthew Clark. All visitors will be offered a meeting with a member of the Admissions team, followed by a site tour conducted by two of our current pupils. Families will also be offered visits to one or two of our boarding or day Houses, where they will be given a tour of the House and a chance to meet and talk to the Housemaster or Housemistress. Meetings with the Headmaster, Mark Turner can be arranged on request. What assessments will my child have to complete before entry? For pupils entering the School at the age of 13 from a prep school, arrangements will be made for your son or daughter to sit the Common Entrance examinations. Exams are sat in the June prior to entry in September. We welcome applications from pupils at schools that do not prepare pupils for Common Entrance. Candidates are asked to sit our entrance exam at Shrewsbury in November or February of their year of entry. They will complete papers in English, Maths and French (if they have studied it previously). These candidates are also welcome to apply for our Academic Scholarship papers, which are sat in May of the year of entry. Sixth Form candidates sit entrance exams in November prior to their year of entry and nominate four subjects for assessment. They will also be subject to an academic and a general interview. Offers after the Assessment Weekend are usually conditional on the candidate gaining at least 3 A and 3 B grades in their GCSE exams. Can we choose a House for our child? We encourage prospective families to visit at least two of our thirteen Boarding and Day Houses during the admissions process. You may be given advice from your child’s school, the Headteacher and teachers may be a useful source of information; otherwise the Admissions Team is always happy to offer guidance. You are invited to record your preference when completing our Registration form and to confirm it when completing our Acceptance of a Conditional Place form. Final allocation to Houses is made by the School, taking your preferences into account. For more info, please see Our Houses section. What do you do to help children settle in? Ensuring that new pupils settle quickly and happily in to life at Shrewsbury is crucial and during those first few days, weeks and month’s boys and girls will be helped and supported by all of the Boarding House, Teaching and Support staff they come in to contact with. ‘Foundation Fortnight’ is an important bit of ring-fenced time for our new Third Formers to find their feet. At the end of a packed programme of inductions to sport, music and other activities, we hope that they are all left with a feeling of excitement that, as they settle in to life at Shrewsbury, huge possibilities and opportunities await them. Pupils have full access to additional support within the House system, should they require it and are made aware of the Listening Team service, within their first weeks at School. For more info, please see the Pastoral section. How often are boarders allowed home? Apart from the usual half-term holidays, boarders are allowed to have a weekend at home twice each term. 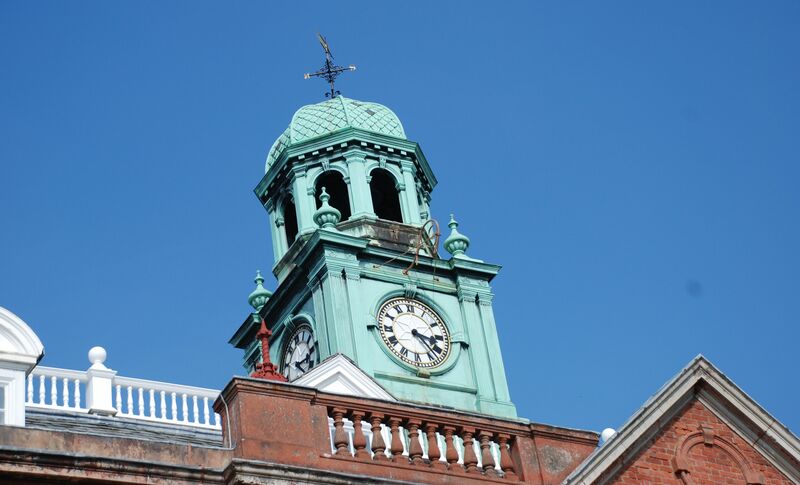 In the Michaelmas term there are two fixed two-night weekends, running either from Saturday lunchtime to Monday evening or from Friday lunchtime to Sunday evening. In the Lent and Summer terms, there is one fixed two-night weekend, and in addition pupils are allowed one further Saturday night at home; families are free to choose which weekend they wish to take. Boarders may also go home on Sundays after Chapel. Where do pupils eat their meals? All meals at Shrewsbury are taken in our purpose-built dining hall, Kingsland Hall (‘KH’), where pupils choose from a wide variety of foods from our self-service counters and then eat with their friends and tutors from their House. Almost all of our food is cooked from scratch, using fresh ingredients and local suppliers wherever possible. We happily cater for pupils with special dietary needs such as allergies, dairy/lactose intolerance, gluten-free diets and halal food. Snacks may be purchased in the School Shop at break times. Hot and cold drinks and toasted items may be prepared in Houses. More information may be found on our Food at Shrewsbury page. What provision is made for medical matters? The School has its own Medical Centre (‘The San’) on site. It is staffed around the clock during term-time by a Senior Sister and her team of fully qualified Registered Nurses and overseen by the School Medical Officer. Pupils are able to access medical care at any time. A doctor’s surgery is held every weekday morning, during term time. 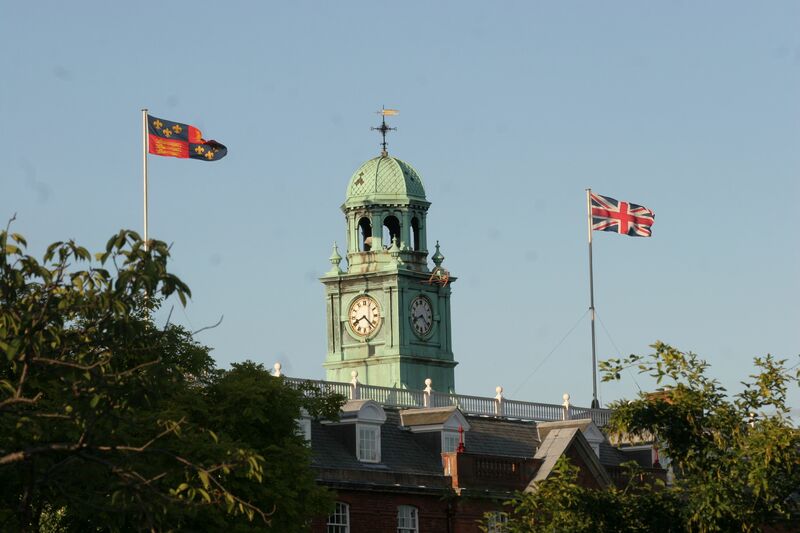 The School is fortunate to be situated less than two miles from the Royal Shrewsbury Hospital. Further information and contact details are on our Medical Centre page. The School employs a team of Site Wardens who work around the clock to ensure that pupils and staff and the site itself are looked after. All of our teaching blocks and boarding houses operate a swipe card or keypad security system to prevent any unauthorised entry and every staff member wears an identifying lanyard. Traffic is kept to a minimum and there is a security barrier which prevents cars crossing site when there are high volumes of pupils. Additional lighting has been added across the site. How do we keep abreast of news and events at Shrewsbury? In addition to your copy of the fasti (termly calendar), parents of current pupils are sent an e-Newsletter via email each week, usually on a Friday afternoon. Forthcoming events are advertised as well as the latest news and results from across the School. You will also be sent regular letters from the Headmaster and your son's or daughter's Housemaster or Housemistress. 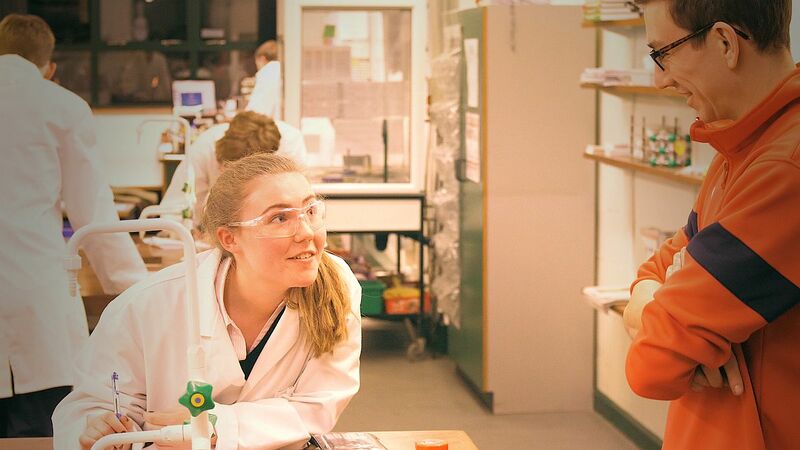 The aim of our teaching at Shrewsbury is to inspire: to stimulate curiosity and interest, and to give pupils an understanding of what they are really good at and what they enjoy. Pupils begin with a broad curriculum in the Third Form (Year 9), laying the foundations for them to complete GCSE courses by the Fifth Form (Year 11). The Sixth Form pupils follow two-year A Level courses they have chosen from the 25 subjects on offer. In the Lower Sixth (Year 12) pupils usually take three main subjects, with a complimentary course (either Global Perspectives Qualification or the Extended Project Qualification), which they continue in the Upper Sixth (Year 13). How have your pupils performed in examinations in recent years? The results speak for themselves. Our 2016 leavers achieved another excellent year for A Level results with 80% of the exams awarded the top A*, A or B grades and 25% of all exams gaining the top A* grade. We celebrated one of our best ever set of GCSE results, with a near record 70.8% of the exams awarded an A* or A grade and a record-breaking 43.8% of results achieving the top A* grade. Details of our examination results for the last five years are published on the individual academic subject pages of this website. For an overview of our most recent exam results, please see Examination Results 2017. Do you have a rewards system to encourage good work? Shrewsbury is full of success stories and headline-grabbing highlights, but there are also many examples of Salopians quietly doing extraordinary things. Our 'Floreat' system seeks to shine the spotlight for a brief moment on those whose efforts might otherwise go unnoticed. Based on the principle that a word of encouragement can have a significant impact on an individual, the intention is to celebrate and commend both curricular and co-curricular success stories in order that pupils may be encouraged on their Salopian journey and further flourish. The intention is to promote an ‘I Can’ approach amongst Salopians, to applaud effort rather than just attainment, and to encourage pupils to be confident in their abilities and ambitions. Floreat is hosted by the Headmaster and members of the Senior Academic Staff every Friday following nominations from the Common Room and the pupil body. Those nominated this term include bee-keepers, Classicists, charity fundraisers, hockey goal-keepers, drummers, poets and Arabists. All have impressed and inspired with their qualities of determination, resilience, fortitude and, in many cases, the courage to step out of their comfort zone. How do you support pupils who are struggling? Part of Shrewsbury’s educational philosophy is to offer support to those at the bottom and to stretch pupils at the top, so that each pupil may continue to strive to fulfil their potential. Our teaching and support staff are well-trained to pick up the signs and are swift to act when a pupil is struggling or grades and the quality of work has slipped. One-on-one conversations, catch up sessions and other resources can all be deployed to get a pupil back on track with their academic work. We have a dedicated Learning Support Department; their work is primarily geared to helping pupils whose academic progress is informed by dyslexia or a specific learning difficulty (usually associated with dyslexia). Tuition is offered outside the teaching timetable and takes place in one of the specialist rooms occupied by the Learning Support Department. For more information, please see our Learning Support page. How do you challenge the more academically able pupil? Our academic staff are well aware that our pupils learn at different rates. Pupils’ progress is monitored by the Deputy Head (Academic), Maurice Walters, the Director of Teaching and Learning, Stuart Cowper and the Heads of Faculties, as well as by individual subject teachers. In the early years pupils will follow a broad curriculum, designed to encourage exploration of subjects and the development of intellectual curiosity. Pupils are inspired and supported to further their subject knowledge by supplementing their studies with further reading, lectures, trips etc. provided by our complimentary studies programme. There are a number of internal academic competitions and challenges which pupils choose to take part in, in addition to their core studies. Competition is fierce! Our brightest students are also encouraged to take part in national competitions such as the science-based Olympiads. Details of our Academic Enrichment Programme and our termly series of Academic Lectures may be found under the 'Academic' tab of the website. Do many pupils leave after GCSE? No, almost everyone moves on in to the Sixth Form. They are joined by an additional group of pupils from other schools, looking to complete their studies. How many pupils go to University? On average 98% of pupils go on to Higher Education, about 30% of whom take a gap year. 8% of the year group are offered places at Oxford or Cambridge. How many pupils are from overseas? Around 15 – 20% of pupils at Shrewsbury are from overseas and come to us from over 50 different countries. They are happily integrated into the friendships and activities of boarding. Overseas pupils are required to have a guardian who can provide a home environment and support in the short holidays and school breaks. The guardian can be a relative, family friend or can be arranged through a variety of organisations. How are pupils with English as an Additional Language supported? All pupils who are admitted to Shrewsbury are required to pass an entrance examination, and pupils for whom English is an Additional Language will be expected to demonstrate a level of linguistic competence appropriate to their proposed course of study. This is to ensure that pupils who arrive at Shrewsbury all have sufficient competence in the English language to thrive in the community from the outset and to follow the Shrewsbury School curriculum which leads to GCSE and A Levels. It is anticipated that, in the first instance, all pupils will follow the full school curriculum; however, the curriculum for pupils for whom English is an Additional Language may be reviewed on an individual basis, and this will occasionally result in a pupil dropping one subject (usually a Modern Foreign Language). Please see the English as an Additional Language page for more information. Are parents and guardians welcome in the School? Very much so! We like to see parents here at the School at any time. Everyone receives a copy of our fasti (termly calendar) and parents have a standing invitation to all plays, concerts, lectures (Academic, Careers, PSEE), matches and other functions. All parents are invited to Speech Day and to yearly meetings to discuss your child’s progress. Your child’s Housemaster or Housemistress is your principal link with the School. He or she is particularly keen to get to know you and to keep in touch. When your child begins their schooling at Shrewsbury, you become part of the extended community. 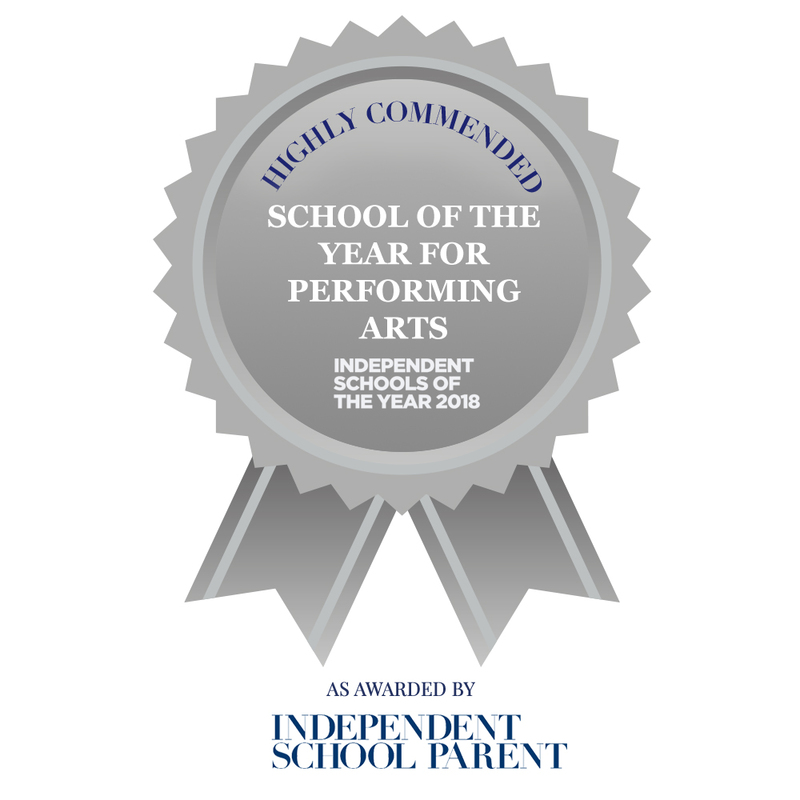 The Shrewsbury School Parents’ Association (SSPA) run a number of events throughout the year to bring parents together, often to support pupils taking part in plays and concerts. For families living in Hong Kong, there is also a very supportive and active Friends of Shrewsbury School HK group. We want all our pupils, whatever their ability, to enjoy their life beyond the classroom, and Shrewsbury has a well-earned reputation for academic, musical and sporting excellence. We compete internationally in cricket and rowing, and we are one of the strongest schools in the country for football, cross-country running and fives. Facilities and coaching for these and a host of other sports including tennis, fencing, lacrosse, hockey, rugby, and netball are excellent. Are pupils allowed in to the town? Yes, if they have time in the afternoon when they are free of other commitments. In the evening, only with specific permission from their Housemaster or Housemistress. The School does not provide a daily bus service for local families. 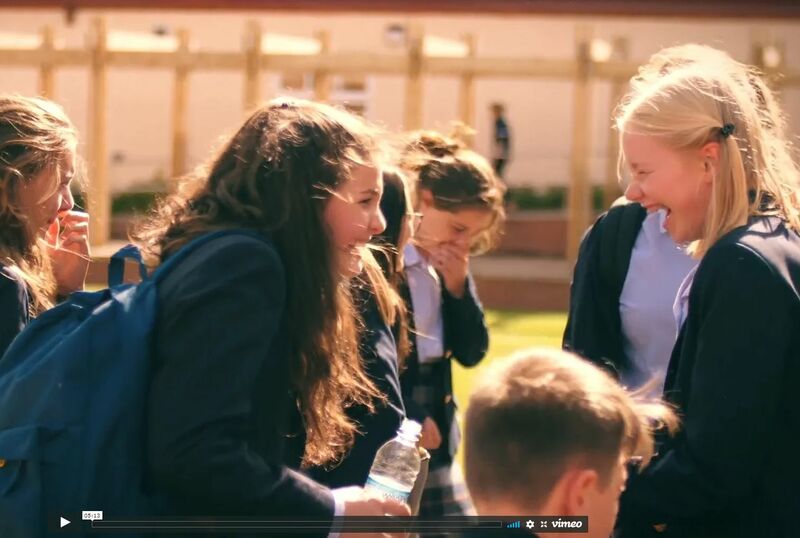 There are often lift-sharing opportunities to be arranged amongst the day pupil community. There is a coach service to assist boarding families at the start and end of term, at either end of half-term and on one weekend either side of half term when the whole school is entitled to head home – what we call ‘coach weekends’. Each route has certain predetermined drop-off or collection points. Routes are reviewed annually and may vary from one year to the next, subject to demand. For full details about the Coach Service, please see Coach Routes. What provision is made for careers advice? The School has an excellent Careers Department. This includes a reference library and many online resources which provide information on courses at university as well as gap year and job opportunities. There is a Careers Fellow and a Higher Education Advisor, assisted by a number of staff, who are available for consultation and advice by appointment. The Department runs its own programme of termly lectures, interactive workshops, fairs and drop-in sessions. Some parts of the programme are timetabled, others are deigned to bring together pupils interested in pursuing careers in a particular sector. Please see the Careers and Higher Education section.